Nether Hall lays just off the A590 as you travel from Kendal to Grange. It is a grade II listed building and is situated just outside the village of Witherslack. The house was built in around 1400 as, possibly, a two or three storey tower. The original tower portion of the building is shown in the photo above. The small projection that can just be seen to the right rear of the house, is a 17th century kitchen, probably added by the Harringtons. The house still contains original walls that are around five foot thick, which some historians use as proof positive that this property was once used as a defensive building. Above. 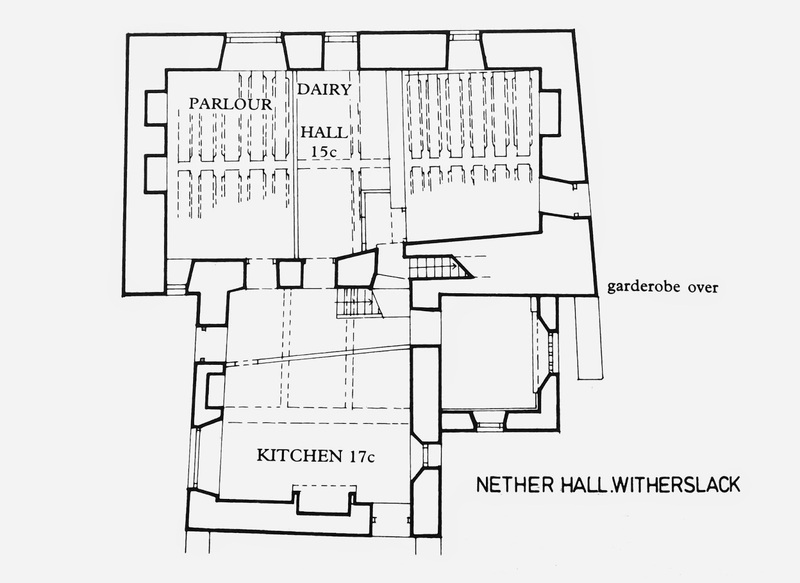 Plan of Nether Hall. There is some speculation that all references to a 'tower' in this area, are in fact relating to nearby 19th century Witherslack Hall. Whatever the true history behind this building, there are still certain aspects of its structure that need investigating. Does anyone live in Nether Hall? 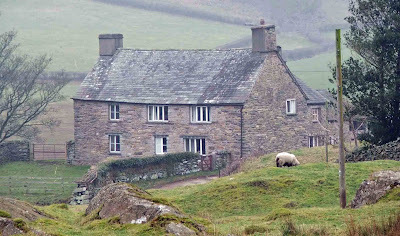 Yes - it is a tenanted farm owned by the Earl of Derby Estate. My family (Scott) lived there in 1750s and we were fortunate enough to visit it a couple of years ago.